"How to find iPhone 5S backup password on PC?" "I can't find red iPhone 7Plus/7/SE/6/5S backup password on Mac. Can anyone help me out since I can't restore my phone from iTunes backup file?" Probably you got a window of "Enter password" to ask you to "Enter the password to unlock your iPhone backup file". Yes. It's asking for the encryption password for your iPhone 5S, though you couldn't recall the password encrypting the backup. Once you lost iTunes backup password for your iPhone 5S, you will no longer be able to restore from the backup file. Thus you need to find iPhone 5S encrypted backup password. Here we are gonna introduce the solution for both Windows and Mac users, iTunes Backup Password Recovery included. 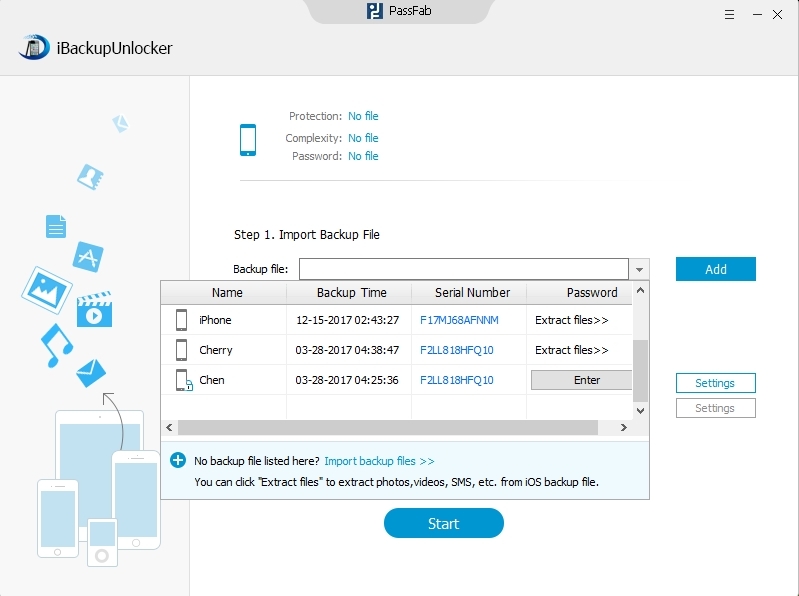 Part I: How to Find iPhone 5S Backup Password on PC? 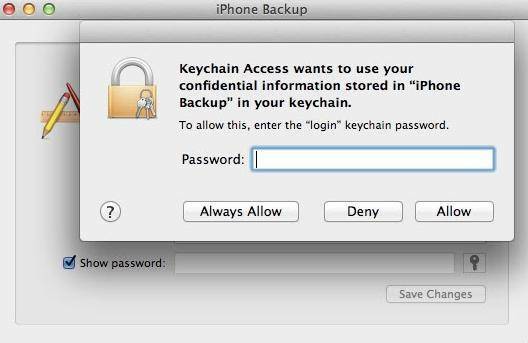 Part II: How to Find iPhone 5S Backup Password on Mac? Actually, the only solution for how to find password to unlock iPhone 5S backup is to apply a third party password cracker. Here we most recommend iTunes Backup Password Recovery. 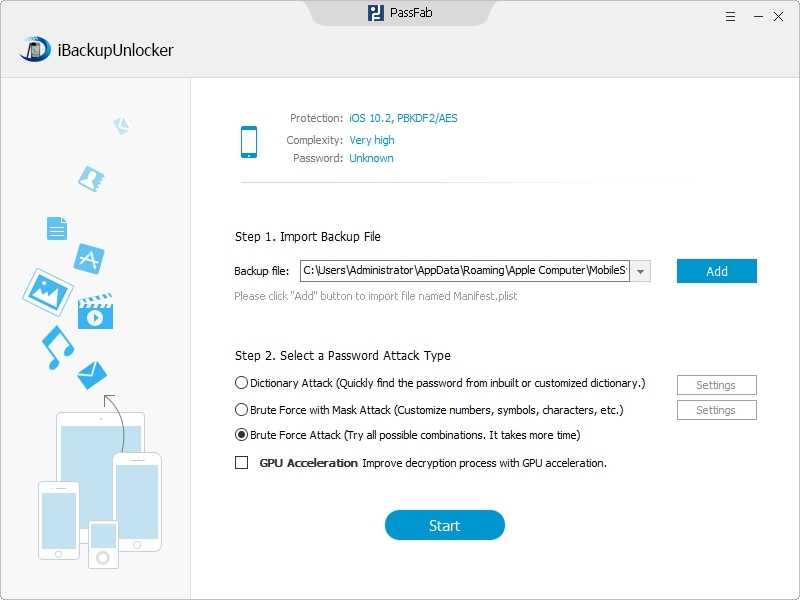 With its three types of attack, you can get back your iPhone 5S backup password with high rate of success. You just need to perform several clicks. 1. 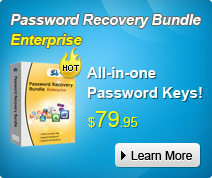 Free download iTunes Backup Password Recovery and then run it on your Windows computer. Click "Open" to get to the location of the file you want to recover. Note: The location of the backup file will be displayed automatically, differing from the Windows OS. 2. Select from 3 attack types according to their functions and your requirement. 3. Click "Start" to find iPhone 5S backup password in Windows 8.1/8/7. 3. Refer to how to find iPhone 5S backup password on Windows PC which has been introduced above. Method 2: Or you can find iPhone 5S backup password in Keychain on Mac. 1. Open the Keychain Access utility from Application > Utilities. 2. In the upper right search field enter "iPhone" and then look for a keychain item named "iPhone Backup" of kind "application password". If there is no such a item, turn to iTunes Backup Password Recovery for Windows for help. 3. Double click "iPhone Backup" and click on the "Show password" checkbox in the new window. 4. You will now be prompted to enter your password (the one locked your Mac) to show the iPhone backup password; click Allow (once). You should now see the iPhone 5S Backup password in clear text. No more asking how to find iPhone 5S backup password on Windows or Mac, just keep this article in a firm place. Or keep iTunes Backup Password Recovery on your computer in case you forgot the backup password again.